U.S. Senator Al Franken (D-MN) delivers a video welcome to the FCCP 2016 Convening participants and gets a head start on the count. 2020 might still seem like a long way off, but the outcome of the presidential and congressional elections in 2016 could shape efforts to promote full access to governing institutions and meaningful opportunities to participate in all aspects of our democracy for years to come. 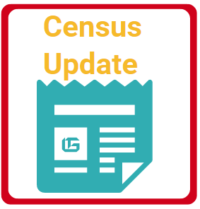 Building on its experience with the 2010 Census, FCCP will provide a strong framework for sharing information and expertise, providing technical assistance to funders and grantees, and facilitating collective philanthropic involvement in the 2020 Census.